The ALG Defense AK Trigger Ultimate with Lightning Bow (AKT-UL) is an improved single stage trigger for the AK47 and AK74 variant rifles. Features a shorter, smother trigger pull and a crisper reset making it ideal for precision and target shooting. 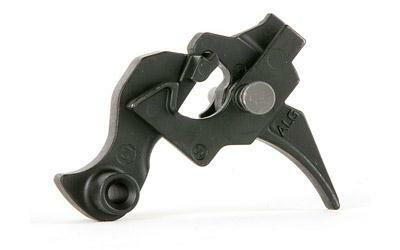 ALG's Lightning Bow produces a very comfortable feel and enhances trigger control. Machined from alloy steel.